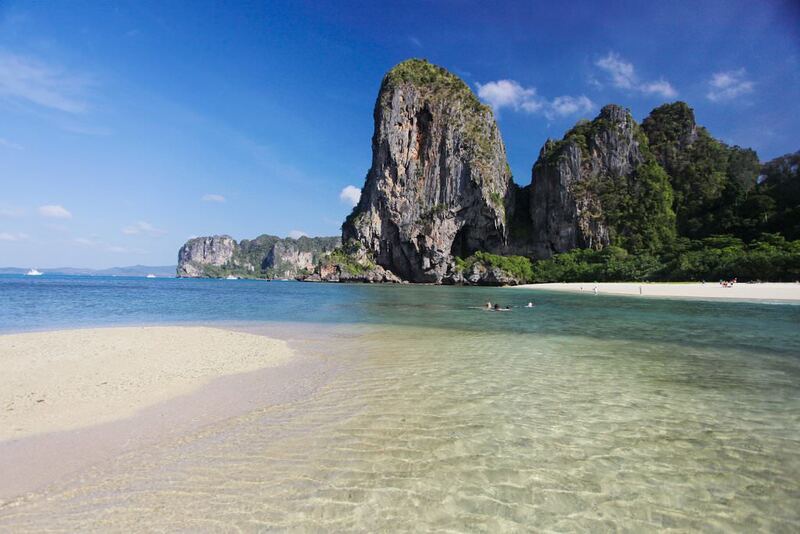 Krabi is a resort attractive for those who prefer to spend vacation on a beach. There is absolutely everything you need for fun and exciting pastime: clean white beaches, beautiful places for scuba diving, colorful nightlife and beach bars, as well as magnificent nature which will help to escape city life. The most attractive destination for divers is Ao Nang bay. The beauty of the underwater world here is mesmerizing; the bay is a perfect place for beginners in diving. Several rental centers of sports equipment are located on the beach, so travelers don't have to take the whole stuff with them. Experienced divers can explore the nearby islands of Po Dha, Hat Rai Le and Tup, as the coastal zone there also has a rich underwater world. 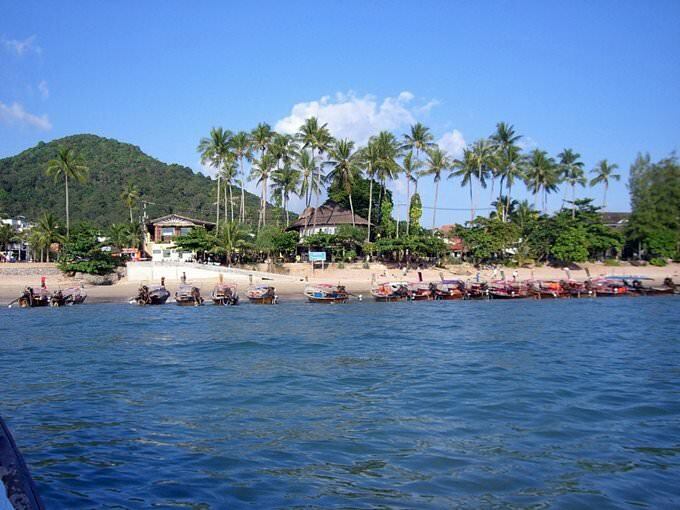 The most beautiful and popular beach resort is Phra Nang, whose only drawback is a huge number of tourists. The beach is perfectly equipped for your comfort. Fans of active holidays would also like it, as the beach area is equipped with a variety of sports facilities, including those for children. Tourists, who want to be away from crowds on the coast, are recommended to go to the nearby Tup island. The beach there is no less spectacular, however, in comparison with the crowded beaches of Krabi, it has a quiet and relaxing atmosphere. Fans of spa treatments are recommended to visit the Kantawan center, which will please with plenty of massage and cosmetician’s rooms. Be sure to try the diversity of Krabi's nightlife. The most popular clubs and discos are located near the coast. The Mermaids invites guests to participate in a colorful party. Fans of exotic cocktails and music would like the Traveller bar. Tourists searching for souvenirs are recommended to visit the National Park that hosts a huge number of interesting stalls and craft shops. 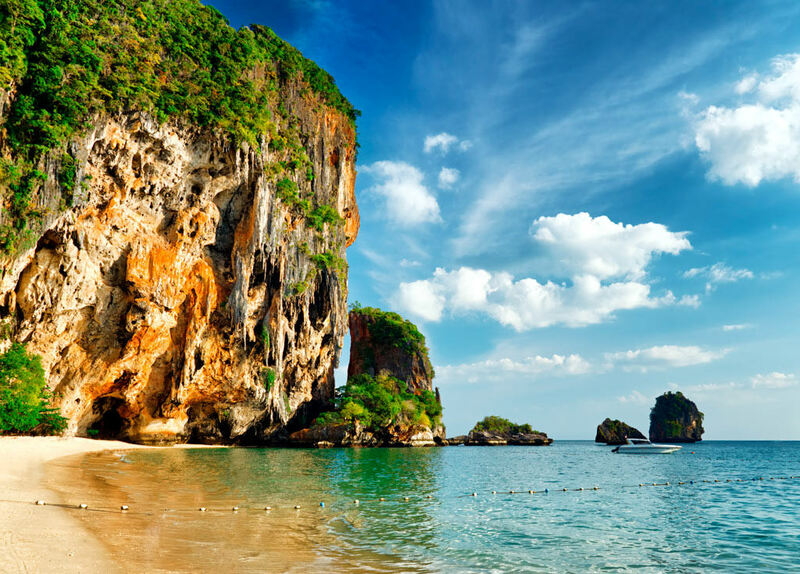 This guide on active recreation and leisure in Krabi is protected by the copyright law. You can re-publish this content with mandatory attribution: direct and active hyperlink to www.orangesmile.com. Check on the map: Distance from Krabi center - 12.2 km. Guide to your best city break in Krabi - popular places for recreation and leisure. Things to do during the day in Krabi - attractions, parks, beaches, aquaparks, racing tracks, biking trails or waterski. Recommendations (with addresses, phone numbers and links) where to spend your time in the evening (bars, discos, clubs, etc.). We share some good ideas and the question 'What to do in Krabi?' disappears immediately.